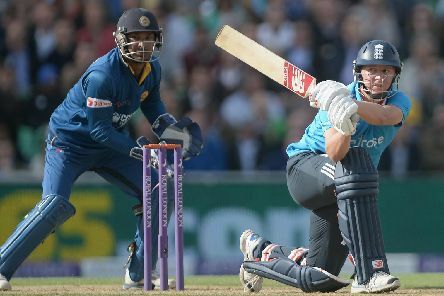 Gary Ballance, the Yorkshire batsman, believes England will thrive under the pressure of being favourites for World Cup glory as they prepare to host the series on home soil. Shannon Gabriel asked Joe Root "Do you like boys?" 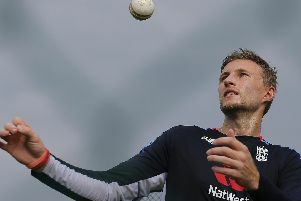 during the third Test between the West Indies and England, he has claimed. Former Yorkshire all-rounder Paul Grayson says he's delighted to be back at Headingley after being appointed as the club’s new specialist batting coach. 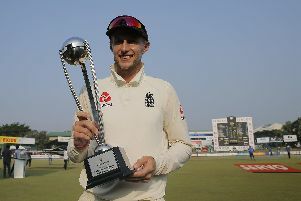 Sheffield's Joe Root says he is proud, but wasn’t surprised, of his history-making England side as they completed a series whitewash of Sri Lanka yesterday. 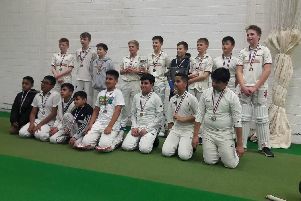 The final of the first Ben Jessop Sheffield & District League Indoor Cricket competition for U13s was played at the Sheffield Indoor Cricket Centre. 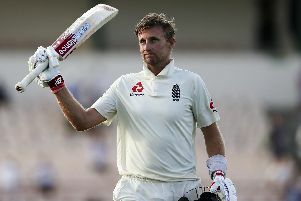 Sheffield's Joe Root has brushed aside Shane Warne’s suggestion he should be replaced as England’s Test captain, insisting the responsibility does not compromise his batting. 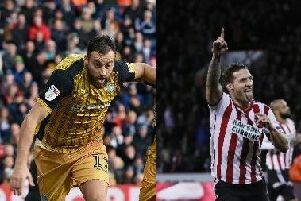 As the curtain came down on a topsy-turvy campaign, Yorkshire took time to honour the past and look to the future at their end-of-season awards this week. 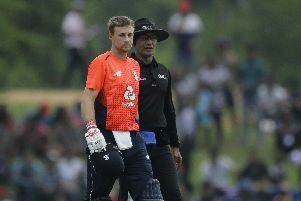 Shane Warne believes England should seriously consider replacing Joe Root with Jos Buttler as Test captain - to allow Root become the world's best batsman. 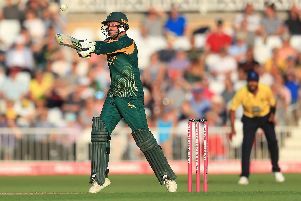 Sheffield’s Billy Root has signed a two-year deal at Glamorgan after admitting he was excited to be a part of the future at Sophia Gardens. 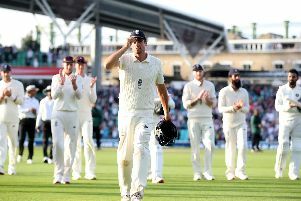 His international career began in 2006 with a hundred on his debut – so it was a fitting, and emotional, end to Alastair Cook’s time in an England shirt when he signed off with a century, too. 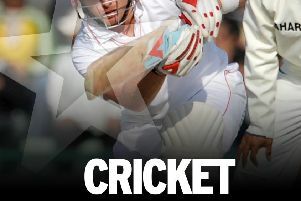 England have confirmed Yorkshire’s Jonny Bairstow will keep wicket in the fifth Test against India in place of Jos Buttler. 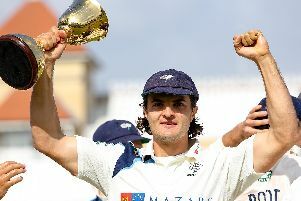 Jack Brooks says the time is right for him to leave Yorkshire. 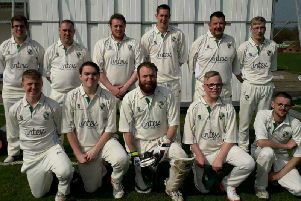 No sign of late season nerves from Division One leaders and defending champions Hollinsend Meths. 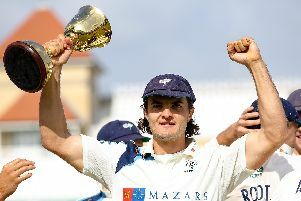 Jack Brooks says he will leave Yorkshire with a heavy heart and a tear in his eye when he joins Somerset in the summer. 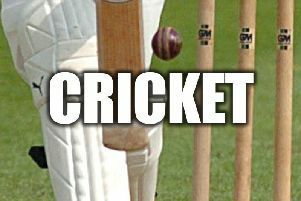 Moeen Ali completed the second double century of his first-class career and then struck four times with his off-spinners to drive Worcestershire towards a crucial Specsavers County Championship victory over Yorkshire at Scarborough. 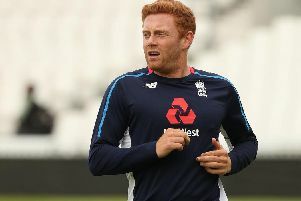 England's Jonny Bairstow has revealed his disappointment at recent departures from Yorkshire and is "chilling" over his own deal, which expires at the end of the season. 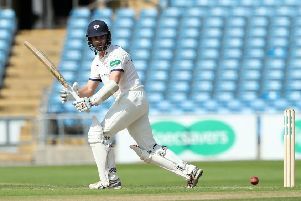 Kane Williamson says Steve Patterson’s captaincy credentials have always been evident inside the Yorkshire dressing room.